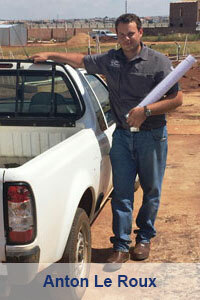 At the young age of 36, Thinus is a young and ambitious co-owner of Cendev, a successful building and contractor business. 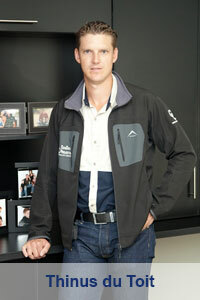 He graduated from Tshwane University of Technology in 2003 with a BTech degree in Quantity Surveying. He has been building houses and developing properties since the start of the new millennium. With excellent management skills and the ability to ensure that projects run smoothly, he is able to safeguard the original time line. His strong characteristic attributes and unique leadership style helps ensure that Cendev Projects function as a well-oiled machine would. He believes that a successful business can only be successful if one is not afraid to make mistakes but are also willing to learn from them. The motto he lives by is: “Mistakes happen but it is how well you learn from your mistakes and are willing to rectify them that defines you as a person”. She started at Cendev Projects cc in June 2011. 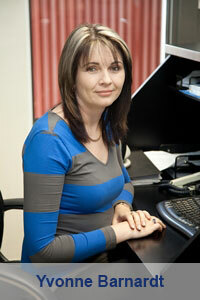 Her 22 years of experience in Admin / HR, makes her a valuable asset to the company. She runs the office making sure that the admin side to Cendev runs smoothly. She is also involved in the marketing of our turnkey houses. She is also currently studying towards her NQF6 diploma in Business & Administrative Managment. With attributes like loyalty and being a hard worker, her philosophy is the basic principle of “if you want it, work for it! It’s that simple”.